If you've ever watched The Golf Channel, and you wonder how that programming-intensive "ticker" that "crawls" along the bottom of the screen stays so current, you can tee one up for Lasso. 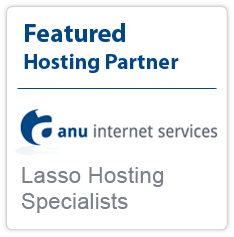 Lasso is generally associated with the ease of tying databases to Web sites. 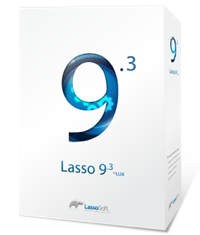 But for The Golf Channels's Project Engineer, Gary Sprague, who is charged with streamlining the channel's digital assets, the prospect of using Lasso to automate the time- and people- intensive task of updating this important part of the channel's operation made perfect sense. Gary Sprague is a broadcast veteran and technologist who has had broad experience with Lasso on the Web side. So using Lasso in a broadcast environment was second nature. "In order to manage data the way I wanted to for our onscreen application, I wanted a Web-based solution that was easy to distribute. And I didn't want to bring ActiveX into play, because it's not particularly cross-platform. So I introduced Lasso," notes Sprague. Sprague worked with an in-house developer to write the application to provide "fetch" commands to the database. Lasso helped Sprague organize the data that would be transmitted via the ticker. That includes data culled directly from the Golf Channel's traffic system, as well as information from thegolfchannel.com. He wrote a program that enables him to pull data from a SQL database, save it in XML and push the data into the ticker system, using Lasso's universal, JDBC-based language. Sprague also points out, that unlike ESPN, with a staff dedicated to maintaining the onscreen ticker, The Golf Channel has a limited staff. But with Lasso's great admin tools, Sprague can extend privileges to people in programming, operations, promotions, master control and on the .com side — each with different needs and responsibilities. So they can add anything from upcoming tournaments to special programming to last minute program changes. And they simply specify when they want the data run and the frequency. Beyond human monitoring, it's essentially enter, set and forget. For Gary Sprague, the Lasso experience has been only positive. "It just doesn't get any easier than Lasso. It's a godsend. I never have any problems with it — it just runs."